BPC Battery Analysis & Care System (BACS) is the most advanced product of its kind on the market today. An Ethernet integrated battery monitoring and management system, BACS uses web management technology to monitor temperature, internal resistance and voltage of every single battery in a given system. In critical standby applications the battery can be a large integral part of the system and can also be an unpredictable element of the design. Battery condition can be invisible and not determined from its appearance making early diagnosis hard, especially if problems have been experienced in transit, storage, installation, poor site conditions or misuse causing failure of just one cell which can lead to open-circuit of a complete battery. The analysis part is the continuous checking of the internal resistance, temperature and voltage of every single battery block. The care part is an equalisation process that corrects the charging voltage for each battery block as well as constant monitoring and controlling. In addition, it can manage environmental measurements such as temperature, humidity etc., as well as the UPS and Inverter system. BACS effectively mitigates the possibility of overcharging the batteries, helping to prevent gassing and drying, as well as alleviating the possibility of undercharging, preventing sulfation. Through the equalisation process, the batteries are kept at an optimal charging voltage and therefore, in an optimal state of health. 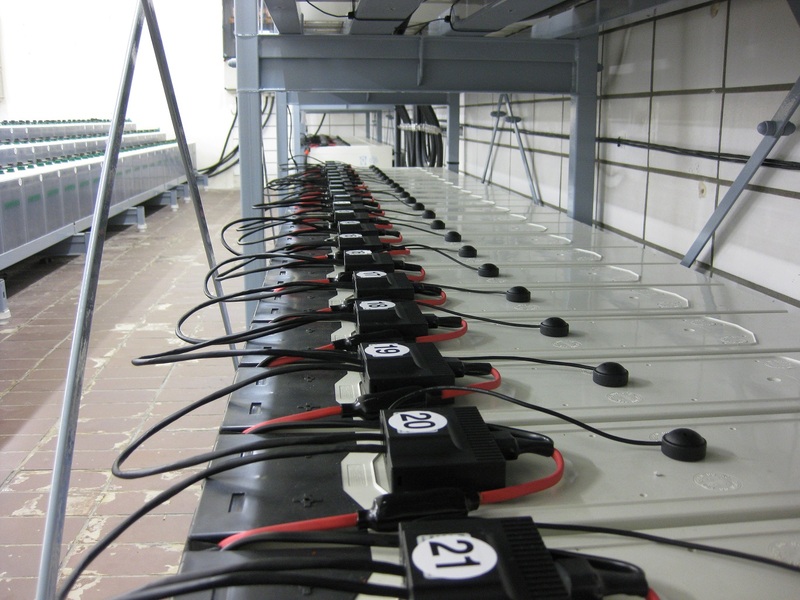 By managing the batteries charging voltages, BACS vastly improves the durability and reliability of the system.